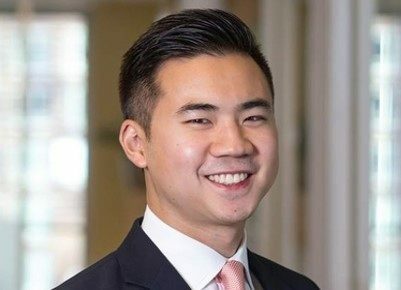 Like many graduate students, Winston Chen, WG’19, came to Penn to pivot his career. He had encountered the energy sector during his work in generalist private equity and strategy consulting. However, he knew he wanted to focus his long-term career on clean energy. “If you are someone who believes that climate change is an important issue — and I think it’s the most important issue — then you should move your career in a direction that helps address it. For me, that involves working in the clean energy sector,” he said. As Winston was applying to Wharton’s MBA program, he also found the Kleinman Center website and learned about the Certificate in Energy Policy and Management. This was something he knew he wanted to pursue. The certificate program benefits professional graduate students interested in learning about energy policy to add to their educational qualifications. Students pursuing this certificate receive an extensive set of courses across several Penn schools. The program prepares students for work in government-related corporations. “It looked like a great opportunity to get some interdisciplinary training — to comprehensively understand energy,” Winston said. Winston is enrolled in the certificate program and has completed his first year at Wharton. This year, he will serve as co-president of the Wharton Energy Club. He has already taken several certificate courses, including his favorite: Energy Law and Climate Change taught by Ken Kulak and Ed Comer at Penn Law. He also took Energy Markets and Policy taught by Wharton Professor Arthur van Benthem. The course focused on electricity and energy markets — from an economist’s view — with an emphasis on oil extraction, cap and trade, and unintended policy consequences, among other topics. Winston also took Energy Finance, taught by Assistant Professor Jerome Taillard. Although the material primarily covered finance in oil and gas and not clean energy, he said he appreciated the foundation it offered him. While the main reason Winston pursued the certificate program was to catch the attention of future employers, he also saw benefits beyond just the credential. Because the certificate program is interdisciplinary, with course offerings at several schools, he has made friends with like-minded students from Engineering, Penn Law, Arts and Sciences, and Wharton.